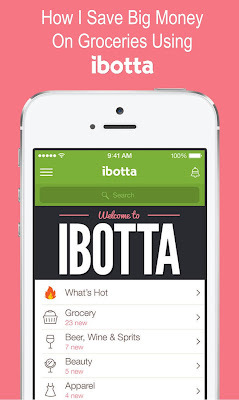 Ibotta: How I Save Big Money On Groceries! *I'd like to start by mentioning that this is not a sponsored post. I just love this app that much and I felt I needed to share it with my readers! Anyone who knows me know that I'm obsessed with saving money, especially on food. I find it hard to spend big money on something that disappears so quickly. I could easily tip over the edge and become an extreme couponer. The only problem with that route is that we need to live on more than Gatorade, toothpaste and Fancy Feast. It should also be noted that in about two months of using Ibotta, I've made over $50. Not life-changing money, but money nonetheless. I don't personally know anyone who would turn their heads at $50. A friend from college made over $600 in 6 weeks on Ibotta. I honestly have no idea how that happened, but she did it! There are bonuses you can earn that get you even more cash as you increase your usage. 1. Select your rebates. Ibotta has new offers weekly for you to choose from. Some are brand-specific, and some aren't. For example, one offer last week was $1 back on any brand of butter. There was also a $2 offer if you bought a specific brand of frozen pizza. It's broken down by store or shopping category (grocery, technology, and even clothing!). 2. Capture your receipt. Use their free app to scan the QR code on your receipt. 3. Enjoy the rewards! It can take up to a day, but your account will be credited the amount you earned. 4. Redeem your rewards. You can cash out for money or gift cards! Again, Ibotta is a totally free cash-back rewards program. If I really want to earn a lot, I'll work my meal plan around their rebates to get as much back as I can. You can't lose! If you use my referral link, you'll get a $10 credit to your account when you verify your first rebate (aka FREE MONEY, PEOPLE). To sign up, click here to use my referral link, and enjoy the savings!